The SK6-0 Surge Suppressor from Tripp Lite is ideal for protecting audio/video devices and printers. 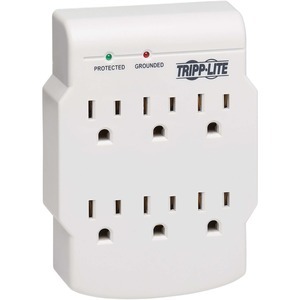 This direct plug-in surge suppressor features 6 outlets and 540 joules of surge energy absorption. $10,000 Ultimate Lifetime Insurance (USA & Canada only).